It's been a long time since I participated in a challenge. I love challenges because they stretch you to use products or techniques you might not have otherwise. This week's Wednesday challenge on Simon Says Stamp is the Bit O' Green Challenge. I didn't have any Taylored Expressions in my stash, but I did have the March Simon Says kit that I hadn't cracked open yet and there is plenty of spring green in there so I used it to make this card. 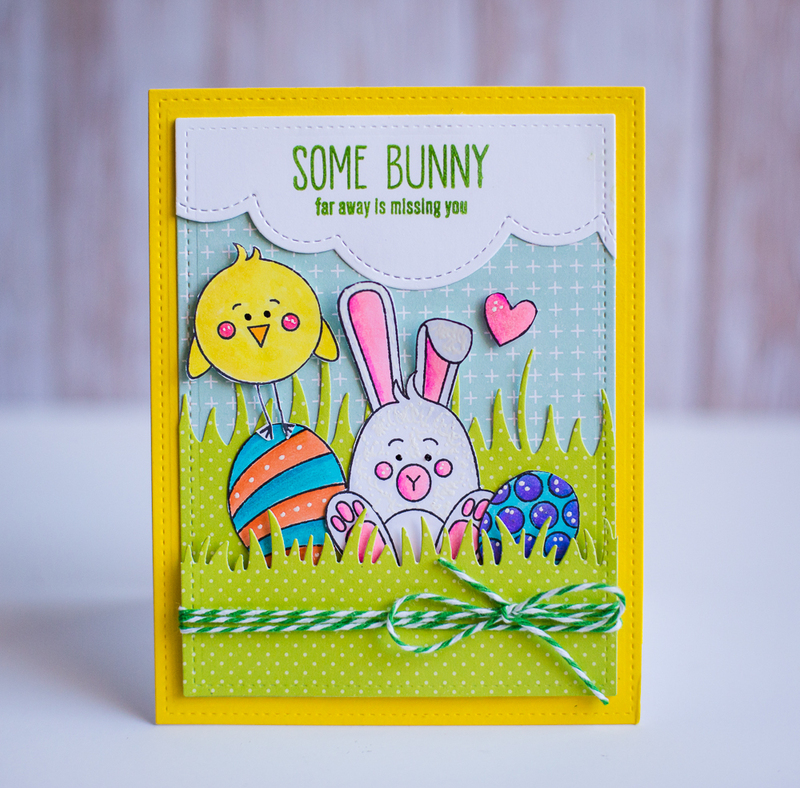 The green patterned papers are from an Echo Park 6x6 pad that part of is included in the kit. I layered them and popped up the top with dimensional adhesive and tied it with a green twine bow. I also stamped the sentiment with green Avery Elle pigment ink and heat embossed it with clear embossing powder. I am not going to link to the March kit because it is out of stock, but I will link to some of the elements of the kit that are still available AND I will link to the April kit. The April kit is equally as amazing!! If you are interested, I would grab a subscription because these kits sell fast! Oh wow Rebecca - what a gorgeous card - I love this design.